Absolute Style Limousines brings to you the most professional funeral car hire London services. We serve London and the surrounding areas. As one of the most experienced funeral car hire services we understand how important it is for you to give your loved one the best possible final farewell and that is why we put in extra efforts to ensure that you receive flawless London funeral car hire services. Why Should You Choose Absolute Style Limousines? We have been in the London limousine hire industry for several years now and this gives us a special advantage when it comes to understanding our customers’ preferences and requirements better than anyone else does in the industry. You can therefore confidently approach us with your requirements without any hesitation, the chances are that we have probably handled such requests already and have the know how to handle them to perfection. At Absolute Style Limousines, we maintain very high professional standards in delivering our limo hire services. When you choose our company for your funeral car hire needs in London you can be sure you will receive an impeccable service. Right from making your booking to signing off, everything will be handled with utmost care. You are sure to be impressed with our professionalism. We have a large fleet of cars for you to choose from and you will certainly not have any problems in finding the right type of vehicle for your funeral car hire needs. In our large pool of funeral cars you will find all types of cars in various sizes. Everything ranging from prestigious limos to super stretched limos. You will never run short of options as far as the right choice of funeral limousines is concerned. Absolute Style Limousines is not only reputed for its large pool of limousines but we are also well known for our top-class chauffeurs. We are very much aware that impressive funeral limo hire services in London could be offered not only by having a large pool of cars but also with supportive team of well-trained chauffeurs. We choose our chauffeurs with great care. All our chauffeurs are well trained and highly experienced. We prescreen all the chauffeurs to ensure that you are in the safest hands. You will find our polite chauffeurs very accommodative and helpful. They will come neatly dressed in chauffeur uniform that matches the occasion. When you choose Absolute Style Limousines for your funeral car hire needs you do not have to worry about paying exorbitant prices. We offer flawless services at the most competitive prices. Send us your funeral car hire needs and get your quote in advance so that you know the exact costs involved in hiring our funeral limousines. You will also find our pricing structure transparent with no hidden charges. 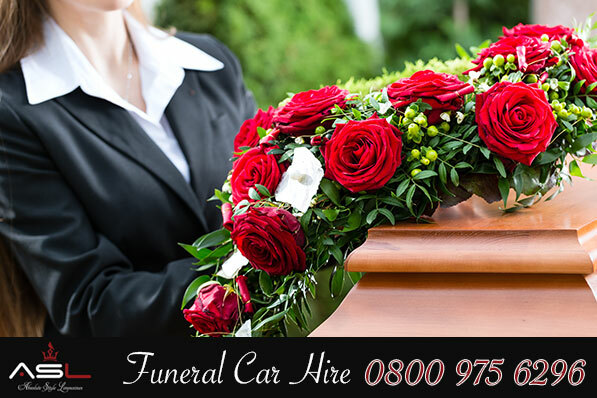 All that you need to do to enjoy our premium funeral car hire services in London is to make a single phone call or fill in our online web form and we will take care of the rest.